Thursday 10am: There were long delays on the Nene Parkway after a four car crash near the Thorpe Wood junction in Peterborough this morning. The crash happened at about 8.30am, and involved a BMW, Renault, Vauxhall and Volvo. 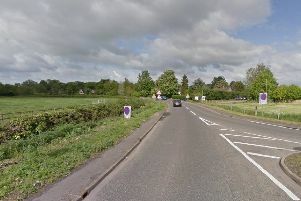 A witness said there were two collisions, one after the first vehicle had been removed and pushed onto the grass verge. A police spokesman said no-one had been injured in the collision, and all of the vehicles had been moved off the carriageway by 9.30am. Anyone with information about the crash is asked to call police on 101.